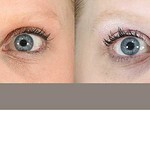 To start using Latisse, schedule an appointment at skinfo®. A licensed esthetician will consult with you to instruct you on proper usage, go over potential side effects and take a before photo! 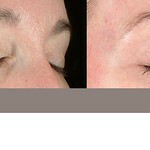 *Before photos and a consultation are required before purchasing Latisse. QUESTION: What are the potential side effects when using Latisse? ANSWER: Most commonly patients report itching or redness at the application site. This was reported in approximately 4% of patients in a clinical study. 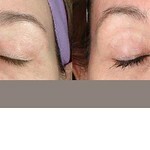 Less common side effects include skin darkening and dryness of the eyes. QUESTION: Can Latisse change my eye color? 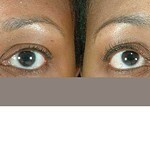 ANSWER: There is a possible side effect of darkening of the iris that may be permanent. This has been reported very infrequently. 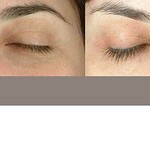 Keep Latisse away from the lower lid and do not apply directly in the eye. QUESTION: How soon can I see results? ANSWER: You can expect to see results in as little as 1 month, but you should expect to see full results in 4 months. Sign up for our the Brilliant Distinctions Program and you will earn points to save on Latisse, SkinMedica, BOTOX Cosmetic and Juvederm.